Are you ready… for a new hip-hop treat? Poet Tree is a self-released, cross-the-oceans-long collaboration between one of America’s best selling emcees Elemint B. Fresh and New Zealand based beat maker Ben Jamin. This extremely well produced EP comes as a follow up to the released just a year earlier Born Fresh, which was soon met with great reviews all across the web. 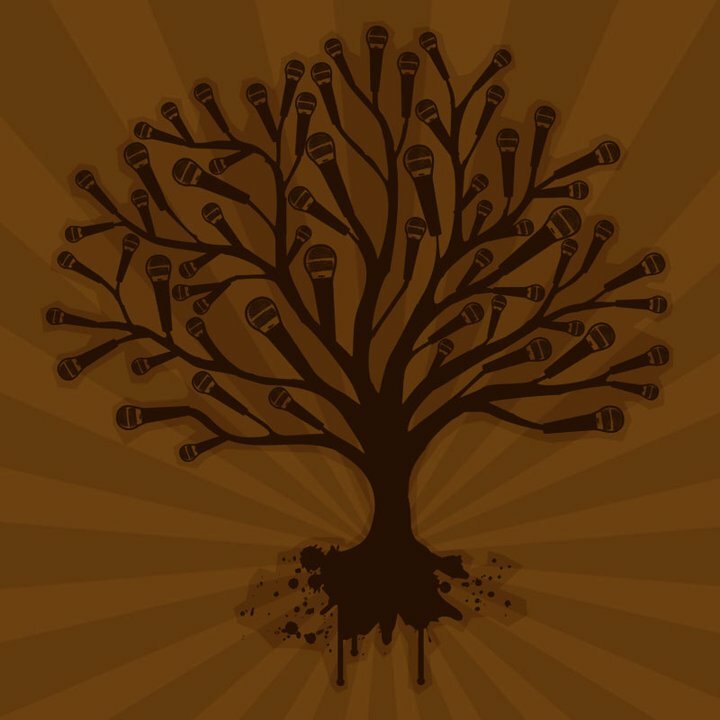 But Poet Tree is in no way different – with its powerful lyrics and carefully crafted beats for your listening pleasure. So if you like hip-hop that is well done be sure to check out this amazing and Frostwire supported release – right here. Update (Oct. 13th 2011): Elemint has a new album “Brain Food”, and it’s only free on FrostWire. Born Fresh was created in Indianapolis, IN and to be more precise, in the living room of the artist; and similarly to many label supported and studio produced albums – it was heard and downloaded across the continents. Soon this wonderful exposure also brought in a new opportunity – a new project and collaboration with an extremely talented Ben Jamin, who heard Elemint’s music all the way in New Zealand, over 8000 far miles away. The two quickly set off to work on a fresh track, The Signal, and began work on the rest of EP soon after. Poet Tree brings us fresh meaningful lyrics through which we can easily spot the artist’s true passion for music. With the unparalleled raw energy the great sounding vocals are effortlessly met by the equally amazing beats with just a touch of jazzy sounds for more added depth and unique flavor. So if you believe that hip-hop is the soul of the earth encoded in the verse of man’s life put into words be sure to give a chance and check out the tracks and the video below. Many of us are still impressed with the multitude of people that are coming across and listening to music from artists without any backing of a major label, even more so if such music is made available for free. Well, if you are one of them, stop. It’s 2011 and with all the fantastic tools at our disposal a truly, truly good music is simply meant to be heard and will always find its way to circle the globe. Elemint is in the business for the love of making music and Poet Tree is an excellent example of yet another work ready to be shared with anyone ready to give a chance to something new. So take couple of seconds to download the album and if you like what you hear pay forward by spreading the word, because with over 40 tracks already in existence and lyrics explaining that not even stars nor the sky are the limit – I’m sure we will all hear a lot more from the artist.